Meeting with survivors of last month’s deadly school shooting in Florida, President Donald Trump stated, “If you had a teacher who was adept at firearms, they could very well end the attack very quickly.” As a former Oakland, California, elementary and middle school teacher, and a mother to two preschoolers, I know that arming teachers is the exact opposite of what we should do. Research makes clear that more guns in schools make schools less safe. Despite the unsettlingly common belief that more guns in the hands of “good guys” would stop violence by those intending to do harm, more than two dozen careful studies have proven the opposite. More guns in a place, regardless of whether they are brandished by trained people intending to protect, result in more gun assaults and gun deaths — not fewer. When states have tried to arm school staff in the past, the attempts have not worked to keep students safer. In some cases, they have caused new safety problems. Children have found guns in schools that teachers left behind, a teacher accidentally shot herself while using the restroom, a school security officer fired his weapon while drying it off, and a university instructor was shot, while students watched, after his gun discharged in class. But even without accidental gunfire, having firearms in schools would create an atmosphere that is not conducive to learning. Experts in the field agree that a positive, safe learning environment is one of the key ingredients to ensuring that children perform well in school — and our teachers are responsible for setting this tone. Arming teachers will stand in the way of our ability to effectively educate children. I cannot imagine how I could have supported my 10-year-old students so that they would let down their preteen guard enough to learn higher-order math and science concepts in my sixth-grade classroom while packing a firearm in my waistband. The presence of that weapon would have had a dramatic, chilling effect on the relationship I shared with my students — a relationship integral to their successful education. A 2013 poll revealed that 68 percent of teachers oppose the idea of arming educators in classrooms. The past two weeks have seen teachers taking to social media in droves to make it clear that they will not stay in a profession that requires them to carry a gun while educating children. Schools must be places of joy, learning, and creativity. 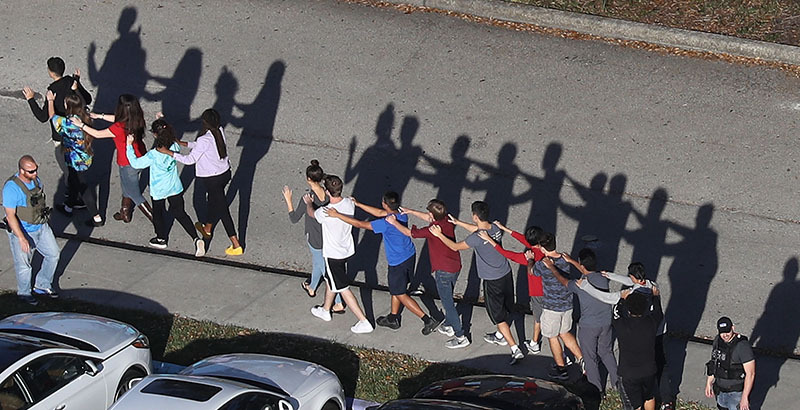 None of this is possible in an environment in which those charged with educating children are also charged with being prepared to execute another human being — especially a human being who is, in 85 percent of secondary school shooting cases, a child. Responsibly carrying a gun requires operating in a heightened state of alertness, looking for threats at all times and being aware of the presence of your weapon. This is an appropriate state of mind for law enforcement officers; it is not at all appropriate for teachers of children. To be sure, we all want the same thing: for all children to be safe at school. I would like to believe that those arguing for arming our teachers are coming from a genuine place of trying to protect children. But we must listen to our students, to our educators, and to the clear scientific evidence: Instead of arming teachers with weapons, we should arm them with the tools they need to ensure every child graduates prepared for college and career. Jessica Stewart is senior managing director at GO Public Schools, a nonprofit working to expand access to quality education in California’s most historically underserved communities.